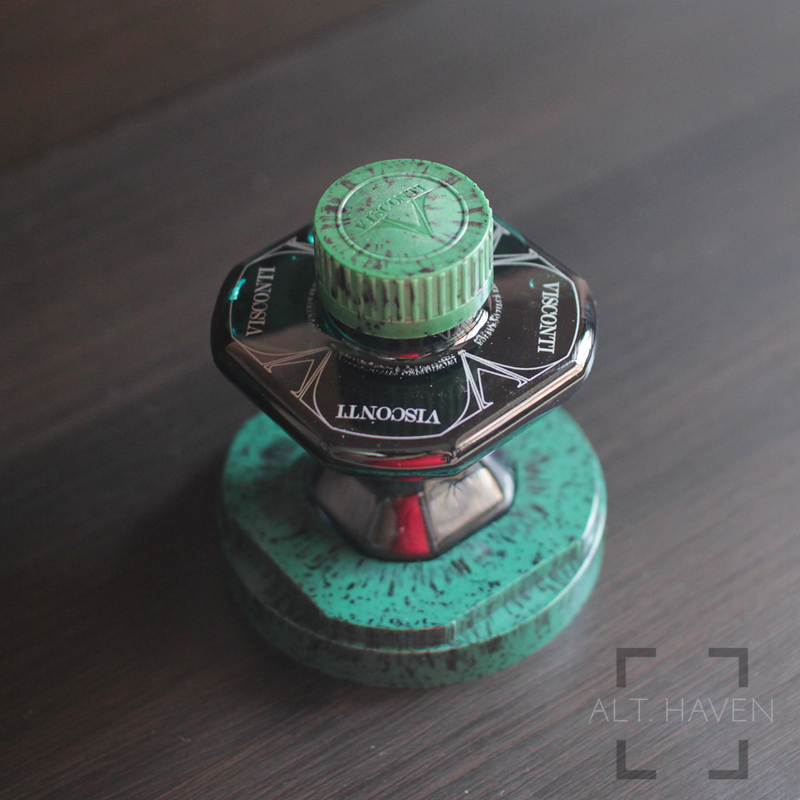 This is Visconti’s green offering in their ink line up. These came in their narrow bottom, wide body plastic ink bottle. Visconti Green is an ink that’s on the dry side, not as bad as Pelikan 4001 inks but dry. It shades well. It goes from a deep forest green to a light pastel like green. 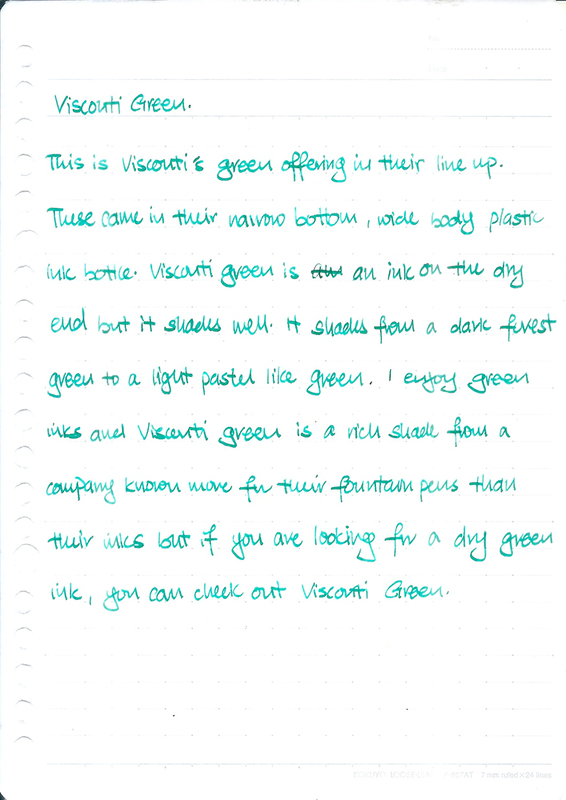 I enjoy green inks and Visconti Green is a rich shade from a company known more for their fountain pens than their inks but if you are looking for a dry green ink for your wetter nib pens, you can check out Visconti Green. My thanks to Fook Hing for providing the ink to me for review free of charge. 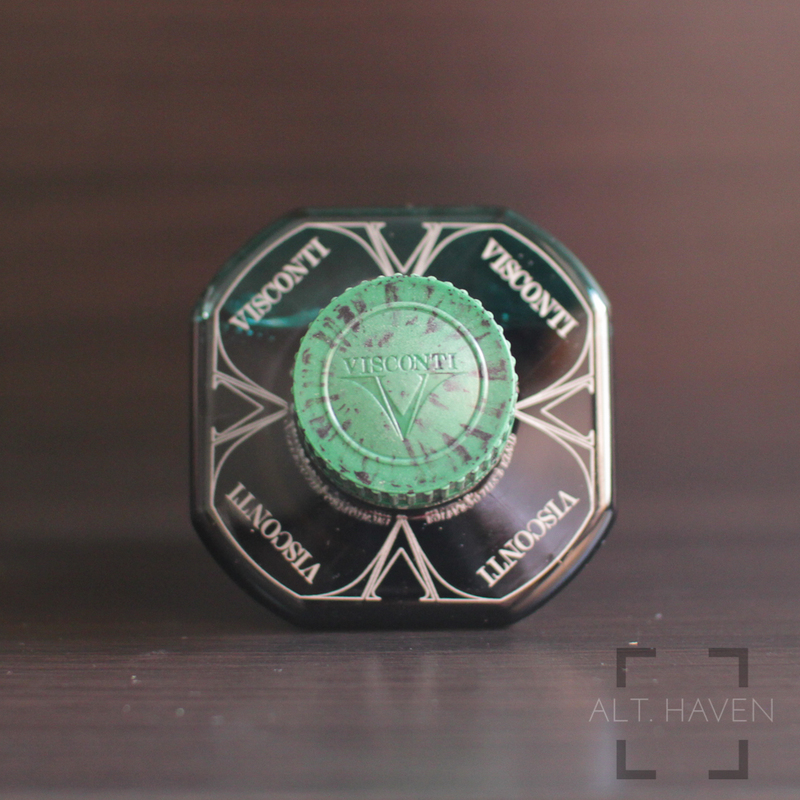 I am giving away the bottle of Visconti Green. All you have to do is to tell me what would you use this ink for. This giveaway will ends 6th July 2015. The winner has one week to claim the prize otherwise I will be drawing another as the winner. This giveaway is only open to people residing in Singapore.